I have always stressed on healthy eating and I am almost always pretty concerned about the ingredients which are being used to cook the food we are eating, how healthy it is and how it has been prepared, etc. Eating good food and healthy food is of prime importance these days with so many impurities and ailments all around. The momentary explosion of joy for your taste buds doesn’t always guarantee a nutrient-rich healthy meal. Also it’s not always about eating well; it’s about not eating the unhealthy ingredients. Recently I again got an opportunity to get myself associated with an endeavor which not only dealt with healthy food and cooking but also with kids, something I absolutely adore. I always encourage my little son to identify food items, ingredients, tell him their names and about their positives. Often I try to make him learn some basic cooking or rather try to develop some love for cooking, at least :). Anyway coming back to the event, I was invited to this FAM trip as a part of Nestle’s Healthy Kids Programme in Kolkata. It was on the ‘International Chef Day’ and it was basically a healthy cooking workshop for kids and adolescents among community who are part of the Nestlé Healthy Kids Programme. Kolkata was the third city in India where this event was being conducted. And this was the first ever organic initiative of Nestlé India where they were connecting with the food bloggers from Kolkata and I was extremely lucky to be in that list! This event anyway was awesome, since it had so many school kids involved in it who are not so privileged to learn cooking from executive chefs and get healthy eating tips and habits every now and then. At this workshop, children who were part of the Nestlé Healthy Kids Programme interacted with the Nestle executive chef to learn about the benefits of various food items and create healthy recipes. This was just a noble attempt to help them turn into ‘Healthy Heroes’. Nestlé India believes that proper nutrition, adequate physical activity, good dietary habits and an active lifestyle are integral in maintaining a good health. The objective of this activity was to encourage these kids to consume a wider variety of foods by engaging them in the recipe preparation, cooking and making it fun and exciting. This time, for this workshop the theme was ‘Foods for healthy heroes’. With the chef’s input and assistance, the unique platform was created to teach these kids some basics about healthy eating by letting them be creative with food. The chef engaged several kids during the workshop and prepared few dishes. I loved the mango milkshake and the poha which they prepared. Malnutrition is a serious issue in our country, especially in the rural areas and among underprivileged kids. Good nutrition is the cornerstone for health and development. The Nestlé Healthy Kids Programme forms part of the commitment to improve nutrition through the promotion of greater awareness and understanding of balanced diet that needs to be accompanied with an active lifestyle. The Nestlé Healthy Kids Programme has been developed with a focus to provide nutrition awareness to adolescents, encouraging them to lead healthier lives. The programme is being conducted every year since 2009 and is currently running across 18 states reaching out to over 200,000 adolescents and children in the country. 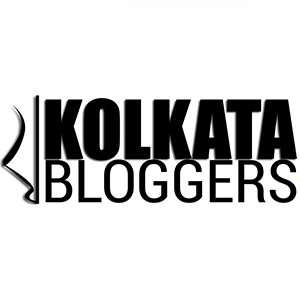 But for the first time in Kolkata, bloggers got associated with such a nice initiative. Me, as a food blogger was more than happy to support such an event and cherished every moment of this workshop and the smiles on those cute little faces! That was the power booster for me to fight for few more days in this otherwise ruthless world. Would love to work more with Nestlé India and support them and their amazing products that have been shaping our lives for ages now. And the amazing Nestle hamper! Cheers to good food, good life! Previous Post Feed The Hungry Project and story of a Kolkata girl! Next Post Story of a Waffle Wallah!